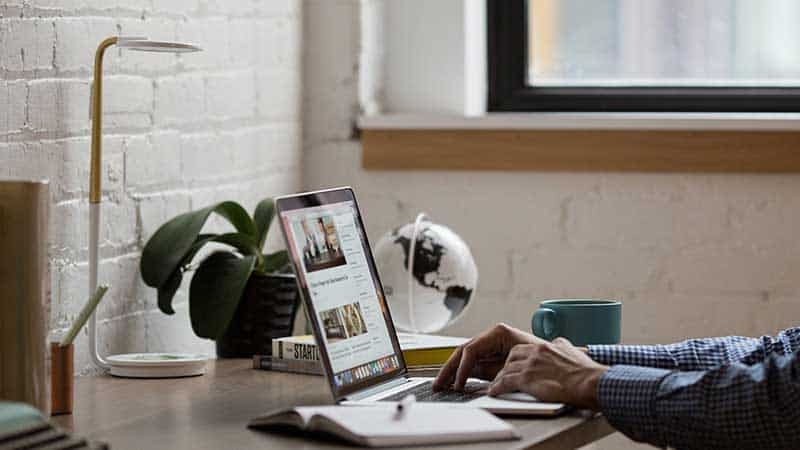 If this is your first time visiting my blog, then you should know that my passion is learning about and starting online businesses. As for how to start an online business for free, there are two particular business models that I use and recommend. I am going to be up front—both of these business models will require web hosting—but everything else that is involved is free. The only other requirement is your consistent effort. No business runs itself. You must put in the time. That being said, if you are serious about getting started with your own online business, I’m here to tell that it can be done! I am proof of that. 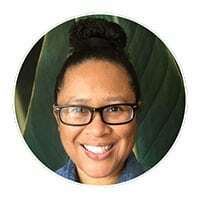 I went from working a physically demanding retail job to working for myself online. Ready to get started? Let’s go! A blog? Seriously? How can a little ol’ blog make any money? Oh, if only you knew, my friend. But, it’s all good because I’m about to lay it all out for you right now. Blogging was my ticket out of a soul-sucking retail job. I took on said retail job after being laid off from a web designer/developer job that I had for three years. When that layoff happened, I thought, “screw it! I’m going to pursue my dream!” That dream was to start an online business and I decided that blogging was the business model I wanted to pursue. There are a lot of bloggers that make money from there blogs. Many are earning anywhere from 4-figures, 5-figures, and the really successful are at 6-figures per month. What Are Affiliate Products and Where Can You Find Them? Good question. Affiliate products are any products in which a company offers them for you to promote. One of the largest affiliate programs online is the Amazon Associates program. There are hundreds of thousands of affiliate programs that you can join. It really depends on what your blog is about and finding affiliate products related to your topic. Blogs make money in a number of other ways too. You can sell your own products or services. You can place ads on your blog and earn each time someone clicks on them. Some bloggers earn income with sponsored posts. Remember how I mentioned at the very top of this post that you will need web hosting to get started? Well, it’s true. I don’t recommend you build your business on free websites like Tumblr or Blogger.com. It’s not good business. Remember when you use ANY free service, they have the authority to close accounts at any time for any reason without notice. Web hosting is your only expense and it is not expensive or difficult to get. One of the web hosting services that I use and recommend is HostPapa. Choose any Optimized WordPress Hosting Plan and they will auto-install WordPress (which you will need and it is free) for you. You will also get a free domain name with any of the plans. Look at that, saving money already! After you’ve completed the payment process, HostPapa will set up your account and install WordPress on your domain. You’ll receive a confirmation email with all of the details for accessing your website. Now you’re in business. What got me super interested in starting a blog as an online business was the fact that it was basically free to start. Besides the web hosting (which I paid for yearly), I would incur no recurring monthly fees. Another reason is that it is convenient. I could work on my blog anytime I wanted and that is exactly what I do now. Sometimes I don’t have the desire to write until mid-morning or late at night. Earning income with a blog isn’t about writing a bunch of blog posts and waiting for visitors. That doesn’t work. If you want readers and you want those readers to click on your affiliate links, you have to help them. If your blog post is about brewing coffee, then you need to explain how to brew the best cup of coffee that you know how. To sum it up: put your readers first. You will not run out of content ideas for your blog when you research what your readers are needing help with. You do this by doing keyword research. My favorite keyword tools include AnswerThePublic.com and Keyword.io. By using both, you can find the types of topics your readers are searching for. Create content around those topics and your content will attract targeted visitors to your blog. You know what makes a blog a blog? Content! In order to have content, you must write. You must write on a consistent basis. Some of the successful bloggers that I know of write every single day. That doesn’t mean you have to do the same. Keep in mind, you cannot write one a month and expect any results. Whatever writing schedule you choose, do your best to stick to it. I have a ton more free information about earning income with blogs. I recommend browsing through my archived posts as well as signing up for my mailing list. As promised, here is the second option for starting an online business for free. If blogging doesn’t interest you, chances are eCommerce will. 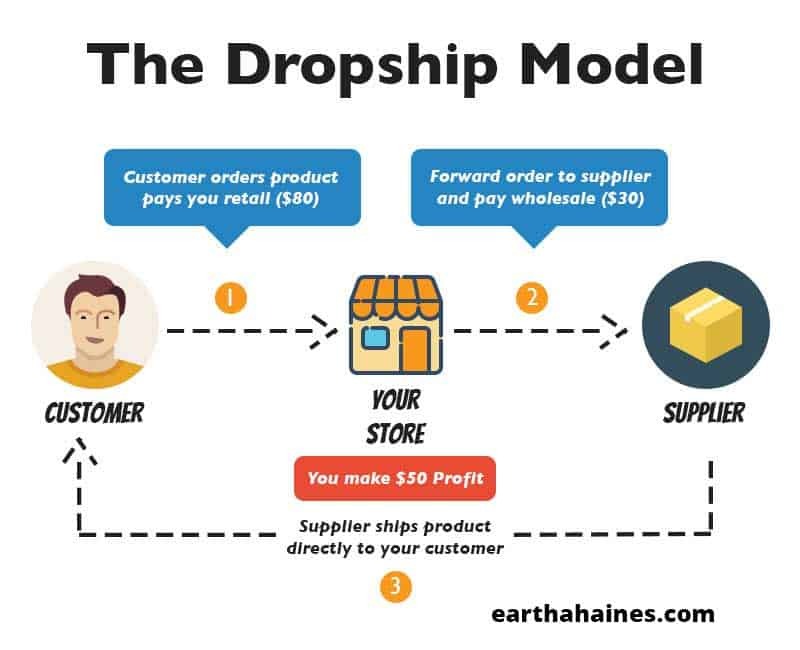 Dropshipping is the selling of physical goods in which your dropshipping suppliers ship items directly to your customers for you. To simplify, you do not have to buy any inventory up front. You do not have to store any products and you do not have to deal with any shipping & handling. You’ll, of course, need to decide what types of products you want to sell. This is referred to as your niche. Then you’ll need to locate dropshipping suppliers. You can do a manual search for such suppliers or use a wholesale supplier directory such as Salehoo. However, one of the easiest ways is to source products from AliExpress.com. AliExpress is one of the largest retailers online. They carry millions of products, offer free shipping on a majority of items, and do not limit you on your profit margins. There are no requirements or registration fees to get started. You can begin dropshipping immediately. That being said, I will now explain how to get your own free dropshipping store using WordPress and WooCommerce. Your only expense to get your dropshipping store up is web hosting. I created a WooCommerce dropshipping store on my HostPapa account. I recommend any of their Optimized WordPress Hosting Plans because they provide you with a free domain name and they will auto-install WordPress for you. 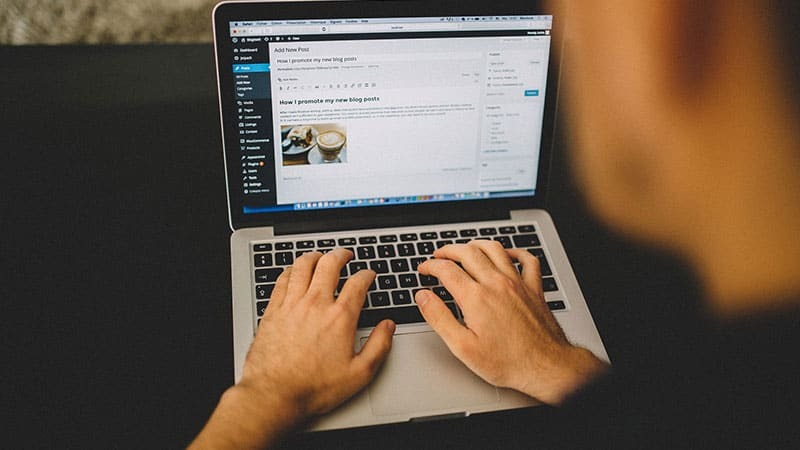 After they set up your account and install WordPress for you, you will get a confirmation email with all of the details for accessing your new website. Your next step is to install the WooCommerce plugin which is free. Click on “Plugins” and then “Add New.” You can then search for “WooCommerce.” It will be the first result returned and you can install and activate it. After you activate WooCommerce you can use the setup wizard to adjust your settings. The next thing you’ll need to do is install a WooCommerce store theme. You can start off with their free Storefront theme. 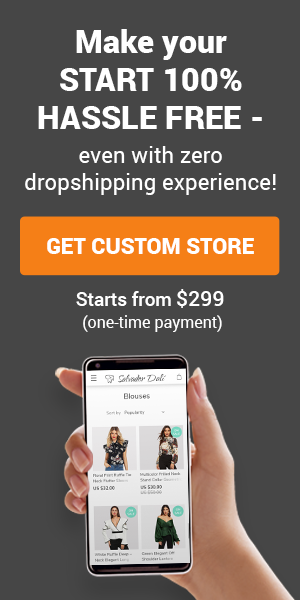 Finally, you will need to install a free dropshipping plugin called DropshipMe. This plugin is what enables you to import products from AliExpress into your WooCommerce store. DropshipMe has some really awesome features. The main feature is that the creators of the plugin have manually selected over 50,000 of the best selling and top rated products on AliExpress. All of the product titles, descriptions, and images have been edited for you. Therefore, all that you have to do is import the items into your store. After you download the plugin, you can install it inside of your WordPress admin under “Plugins” and “Add New”, then upload it. 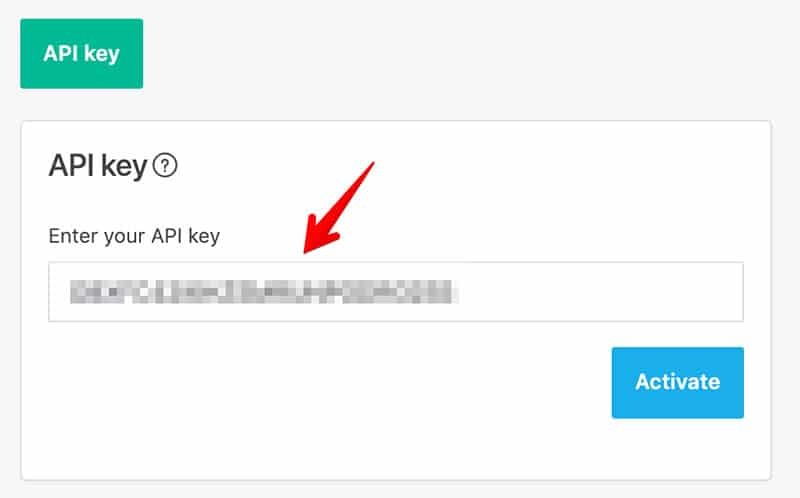 When DropshipMe is installed and you’ve activated it, you can go to it in your WordPress admin menu and click on “Activation.” Copy and paste the API key that was sent to you in your email. If you want to follow a step-by-step tutorial of this set up, click here. Creating your store using the software above means you will have no recurring monthly software fees. However, you will have to manually process your orders as well as sending tracking details to your customers. If you want to automate your store in the future, I recommend using the AliDropship Woo plugin. It automates all of the essential features of your store such as order processing and tracking information. There you have it! Two online businesses that you can start for free (minus web hosting which is inexpensive.) Of course, the key to either of these online business models is you. You have to dedicate your time and effort to either of these business models. 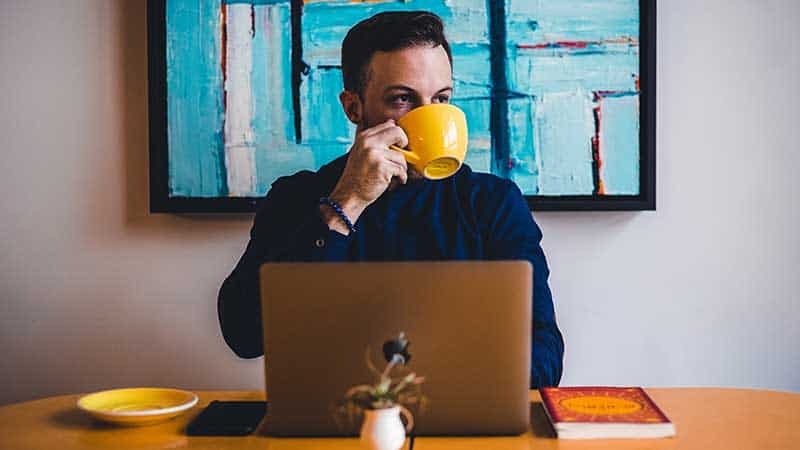 Both require work but the benefit is that your hard work will pay off in terms of generating semi-passive income for yourself. Want to learn more about earning income with a blog? Subscribe to my mailing list and I’ll send you more helpful information. ← Dropshipping WooCommerce VS Shopify – Which is the Better Deal?